A beautician is someone who has the ability to create their own unlimited source of income, considering the fact that the people are always demanding their services because everyone wants to look good and be perceived well. The beauty industry is always a booming one because all over the world, at one time or the other, there is always an event going on somewhere which will require the services of a make-up artist or a beautician. 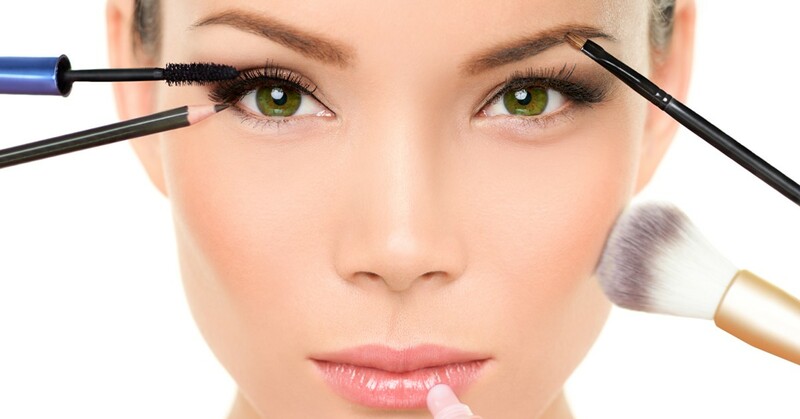 The demand is always on the rise which has made beauty industry as a profitable niche to build a good job on. We all know that schedule is one of the most important things to consider when deciding on a career. Becoming a beautician guarantee you an advantage over this because you will get to choose on when to work and when not to accept appointments. There will be no boss to determine when you will be at work or otherwise. Your schedule is really up to you. Time is paramount in business and if you are in control of your schedule, you can work over-time because the more hours you devote to work, the more money you make to carter for your expenses. A beautician is always mobile when it comes to location except you decided to be a dependent worker who works in a salon or a spa outfit. You can go to any place at any time to discharge your services and get paid. You have the privilege to visit places you might not have been to before or work at a client’s beautiful mansion. As a beautician, you can work from anywhere as a freelancer and enjoy the places you never thought you will be in. The beauty career is a social friendly career that exposes you to meeting new people regularly, you could meet them as co-workers or clients. You may have the privilege of working with a government official or a celebrity. You may have the opportunity of working with a model. This is what makes this industry very interesting and lucrative too. You can’t tell who your next client may be. From hair, dressing to make up to nail techs. You will have to engage your abilities in giving different designs and styles to different levels of clients and while you do this, you are engaging your creative abilities. You may not even know the type of work you will be doing next. As you do different types of work, you are exposed to becoming involuntarily creative and able to do most styles the clients may come up with in the future. As a beautician, when you work on a client and they are happy with your services, you feel so fulfilled for transforming their looks and helping them feel good about themselves. This also guarantees you instant gratification. Sharing your skills with your clients and others out there can take your self-esteem to a whole new level. When you render service to someone, you will get paid. The beauty industry is always a busy one which is to say that people will always require your services. Sometimes, when you do it so well, you could get tipped as well. You can earn as much as you wish as a beautician because there is always demand for a beautician. People want to feel good about themselves. They hire a beautician to help them do this while they get paid. Apart from making money with your skill, you can also use the same skills to help them. Take for instance someone looking for a job, you can help the person land that job by giving her a perfect look for the interview. You will help people build their confidence and self-esteem by looking good. When you are very good and professional as a beautician, you can become a beauty consultant for big celebrities and individuals which guarantees you more cash and more fame. As a consultant, you can open a school where you can train new people who have a passion for becoming beauticians too. This means more money or you. As a beautician, you have a huge opportunity of becoming a manufacturer of a beauty product. You can become a manufacturer of a beauty product or a distributor of one. This could be an added avenues to make more money as a beautician.